NOTE: Updated June 11. Developing, more to come. Neil Young and Promise of the Real Micah Nelson have been recording together recently. 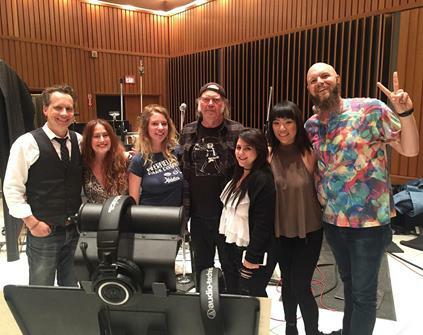 Composer-arranger Chris Walden conducted orchestra on Neil Young's album Storytone in 2014. Neil Young continues his tradition of recording under a full moon (The Strawberry Moon). 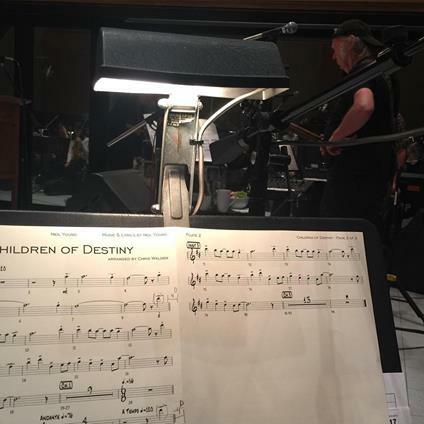 Reports indicate that the song being recorded above is a new song "Children of Destiny" with Chris Walden conducting the orchestra. From the image, we can see Micah Nelson on guitar with Neil Young. As Neil Young’s 2017 self imposed sabbatical continues and (updated here and here), we continue our journey into the past of the TW Archives and other sources. Thanks Robert. Busted. Fake news on TW. We will correct, apologize and issue a retraction. Something you rarely see from the MSM in these days. Give me something REAL. Just wheat and no chaff. We'll be disciplining our sources appropriately.